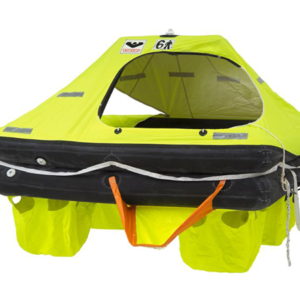 REVERE Aero Elite Liferaft is the most compact, lightweight general aviation liferaft in its class making it easy to stow and deploy. 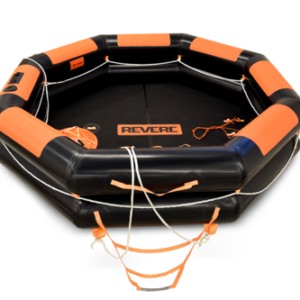 It features one large oversized 13″ tube; vertical bulkheads inside divide the tube into two independent air-holding compartments, so if one compartment is punctured, the other keeps you afloat. 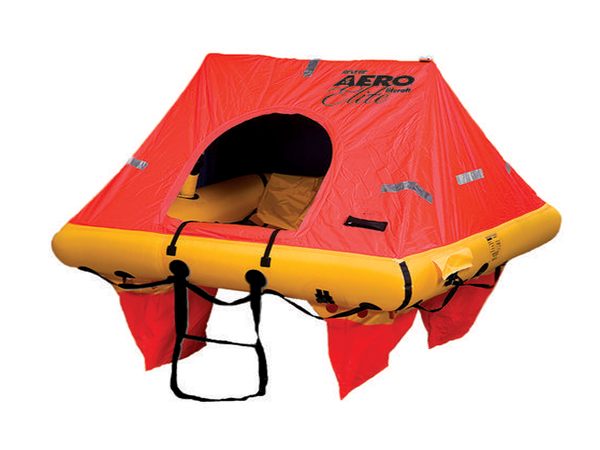 Offering a spacious 4ft2 per person, the Aero Elite includes a heavy-duty boarding ladder, an inflatable floor, automatically inflated canopy, stowage pockets, zippered windows, flashing strobe, four extra-large, 200 lb ballast pockets, an extensive survival equipment pack including USCG/SOLAS flares and much more. 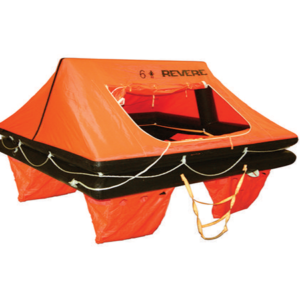 The Aero Elite is vacuum-packed to add greater protection against the environment and minimize servicing costs as service is required just once every three years.